Forever 21 has had a busy weekend. Not only did the fast-fashion powerhouse announce plans to the largest single-rooftop solar-power system in Los Angeles County, it also unveiled a new 18,000-square-foot concept store that promises greater quantities and even deeper discounts on its already cut-price clothing. Based in South Gate, just 10 miles from the company’s Lincoln Heights headquarters, where the proposed SunPower system will roost, F21 Red boasts numbers that defy probability, with camisoles that start at $1.80, tees and tank tops at $3.80, leggings at $5, and jeans at a barrel-scraping, economics-defying $7.80. What the “disposable clothing” purveyor isn’t known for for, on the other hand, is any pretense to sustainability. 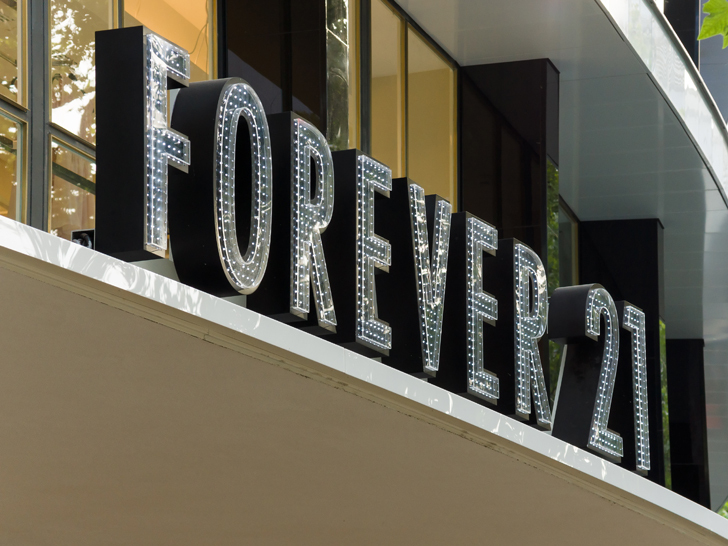 But Forever 21 didn’t become a billion-dollar company by cultivating its conscience—or self-awareness. As the latest business to participate in the Los Angeles Department of Water and Power’s Feed-in Tariff program, the brand stands to profit from its planned solar system and its attendant incentives. The resulting PR might not have hurt, either, if the company’s intentions weren’t so gallingly transparent. The panels, in and of themselves, aren’t a bad thing, of course. When completed this summer, the array is expected to generate enough energy to power approximately 1,450 Lincoln Heights homes. Estimates place the retailer’s projected carbon-dioxide savings at almost 13 million pounds per year—equal to the emissions created by burning 6 million pounds of coal, or the equivalent of taking 1,200 passenger cars off the roads. Whether this will make even the teensiest, eensiest dent in Forever 21’s overall footprint is another question entirely. Forever 21 has had a busy weekend. Not only did the fast-fashion powerhouse announce plans to the largest single-rooftop solar-power system in Los Angeles County, it also unveiled a new 18,000-square-foot concept store that promises greater quantities and even deeper discounts on its already cut-price clothing. Based in South Gate, just 10 miles from the company's Lincoln Heights headquarters, where the proposed SunPower system will roost, F21 Red boasts numbers that defy probability, with camisoles that start at $1.80, tees and tank tops at $3.80, leggings at $5, and jeans at a barrel-scraping, economics-defying $7.80.